An unusual stone of Pink spinel floating in white marble. 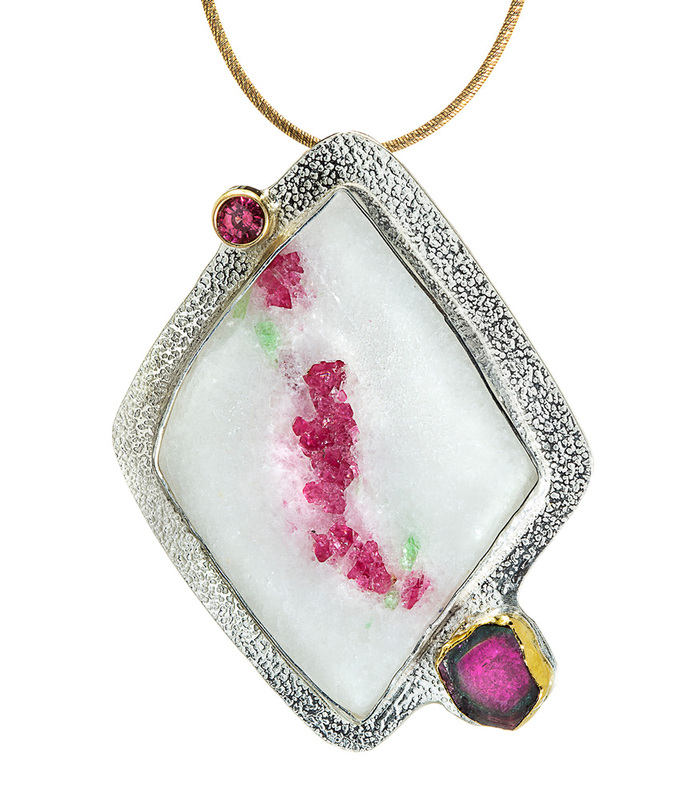 The piece is set in sterling silver and the pink spinel brilliant is set in 14k gold. The watermelon tourmaline is set in 22k gold and the piece has a hidden bail. Size: 2.5″ by 1.75″. SOLD.